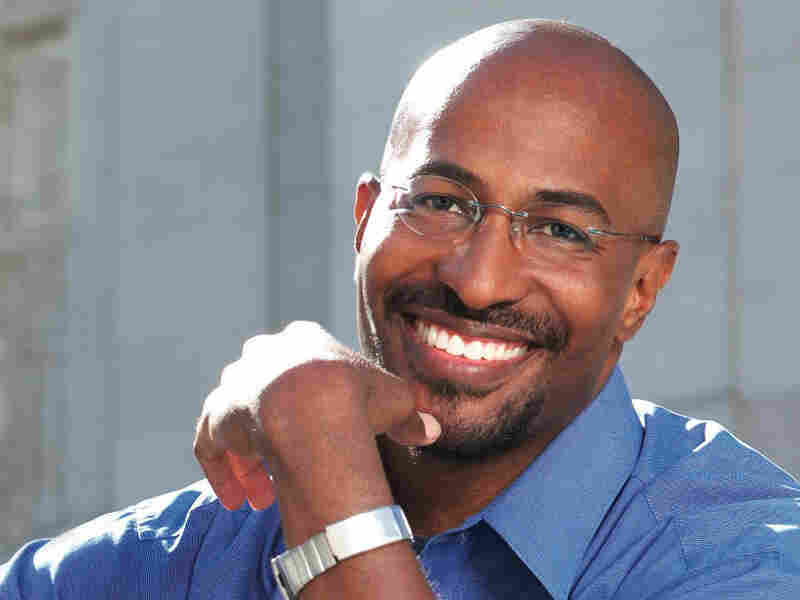 Van Jones is a special adviser to the White House Council on Environmental Quality. He founded Green For All, a green jobs advocacy group based in Oakland, Calif. Jones is author of The Green Collar Economy. I believe in making my father proud. I think my dad would have been proud this month to see his son going off to work for the Obama administration — but not too proud. My father was born black and poor in the segregated South. As a middle school principal, he specialized in taking public schools that were failing poor kids, and transforming them into centers of safety and learning. He was a no-nonsense hard case. He was like that principal that Morgan Freeman played in that movie, Lean on Me, the one who turns around a tough high school. But Dad hated that comparison. "I tell these kids, don't lean on me. Lean on yo' self." My dad worked hard, and he smoked hard. In March of last year, his lungs gave out. But his spirit never did. Even in his last days, lying in a small-town hospital bed, two things always made him smile: seeing his 3-year-old grandson, and watching then-candidate Barack Obama appear on television. Daddy couldn't talk at the end, but whenever Obama's face would flash across the screen, my father would scrawl a ragged "O" on a piece of paper. He would look at me and give me that slow nod. By then Daddy knew he was not going to make it. But he believed that Obama would. Daddy had confidence in me, too. When he died, I was just getting traction for my own ideas for uplifting urban youth — by getting them green jobs in the solar industry and green construction — so that society could fight poverty and pollution at the same time. Like my dad, I kept pushing the idea forward, even when others doubted. And then something magical happened: Obama won the presidency. More than 300,000 people applied to work in the White House. I was not one of them. I had a great job, and I was happy where I was. But one day, a top administration official called me. And this month, I will go to work in President Barack Obama's White House as a special adviser on green jobs. "Black faces in high places don't make nobody free, boy. Folks can't eat them sound bites of yours. How many jobs did you get for people this week? Folks need some paychecks around here, son, and they ain't getting any. And what are y'all gonna do about these banks?" My father started life with next to nothing, but he found a way to help countless young people climb out of poverty. Today, despite the obstacles, we have so much more going for us. He would always say, "I don't see no dogs and fire hoses stopping you from doing anything." No matter today's difficulties, Daddy would not have accepted anything less than spectacular results from us.